A few years ago I worked with my old firm on their “Foster Works” series, an oeuvre complete that included critical essays on major projects. It was a great assignment–interviewing people from my past life, thinking about how the various projects in the office fit together into a cohesive statement about architecture and technology, and getting to travel to some of the works being covered. 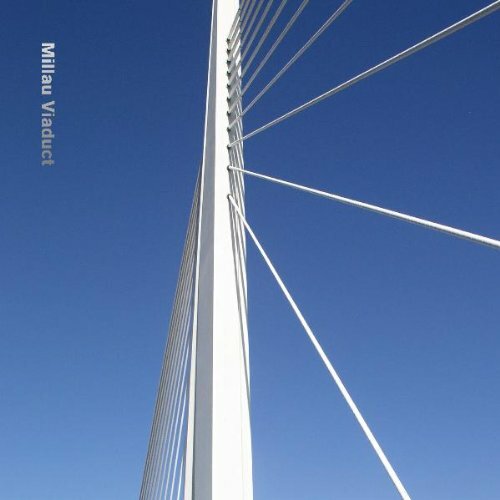 One of those was the Millau Viaduct, a truly monumental set of cable-stayed spans over a large valley in central France. It had been in the office while I was there, and the scale of it was baffling–one of the major supports is taller than the Eiffel Tower. Research included a day in a rented Peugeot, driving back and forth across the bridge and through the (drop-dead gorgeous) countryside around it. That was, without question, one of the best days you can have as an architect/writer. The office and I noodled around with that essay for a while, and I’m very pleased that it’s been made a part of a book on the Viaduct, sharing space with an essay by Foster himself. As with everything that comes out of the office, it’s a gorgeous, well-designed effort, full of high-quality photographs and drawings alongside the historical and critical bits. …speaking to the Chicago Architecture Foundation docent corps with civil engineer Kevin Griebenow and SOM’s John Zils. The chance to sit and listen to those two alone would have been worth the trip, but the opportunity to talk with 150 of the most knowledgeable folks on the planet about Chicago’s buildings was, as always, a real joy. Thanks to Bill Lipsman and Alice Glicksberg for the invite and an exceptionally well-run, enjoyable Saturday. You are currently viewing the archives for November, 2012 at architecturefarm.